RepBook keeps your audition materials organized and at your fingertips anytime, anywhere and everywhere. RepBook auto-tracks date, time and duration of practice time for each piece. Ensuring good practice habits. 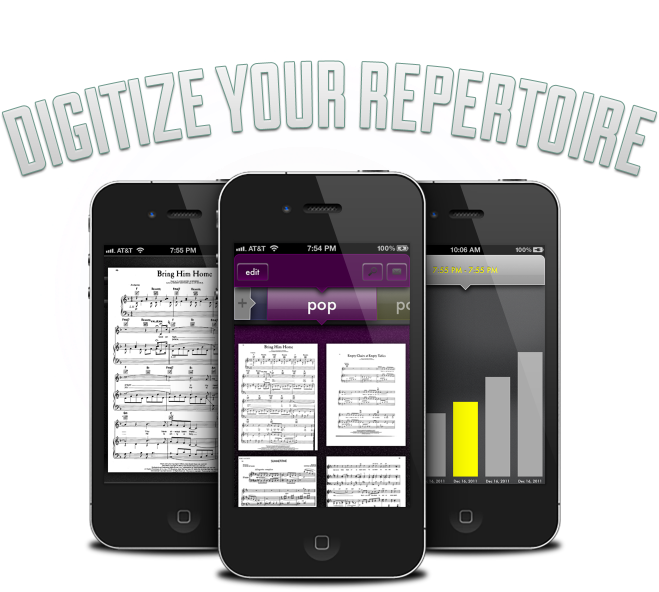 an organized, practiced repertoire equals the best audition possible, with RepBook this becomes a breeze. Copyright © 2019 reimagin8d All rights reserved.